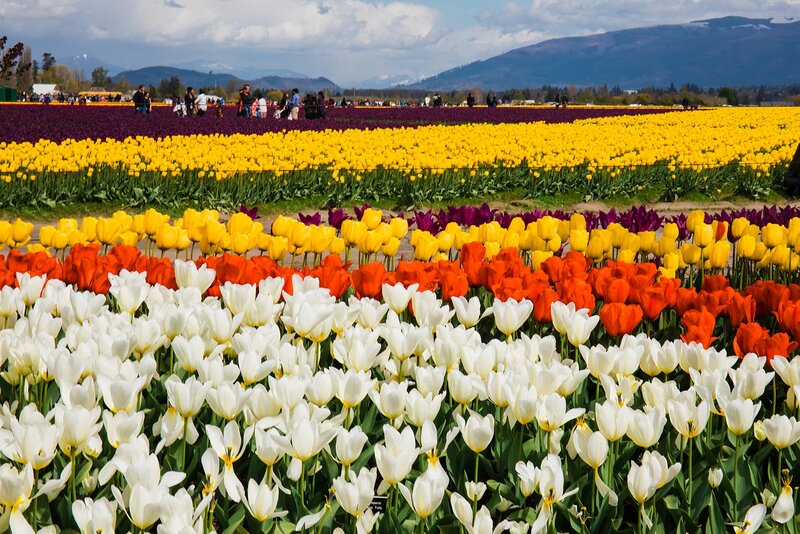 One of the many seasonal events in the Western Washington area is the Skagit Valley Tulip Festival. It happens every April, and they are in their 34th year! There are a couple main gardens that people visit— the RoozenGaarde and Tulip Town. It’s designed as a driving tour, meaning you can get in your car and hop around to the different locations of gardens. We also saw quite a few bikes on the roads though. After stopping for some breakfast sandwiches at Homegrown, we hit the road a little late in the day. We ended up hitting some traffic which I anticipated, though hoped we wouldn’t. The farms are about 1 hour 30 minutes from the Seattle area, but it took us about 2 hours to arrive. The weather has been rainy (over the weekends) here in April, so some much needed sunshine pushed many families out and about. It’s easy to navigate to— I picked RoozenGaarde based on photos I saw online. There were several separate parks of this garden, but there’s a main area with lots of parking and event areas. The whole route is dotted with “Tulip Route” arrowed signs. There were signs to not go between the rows of flowers (unlike in Portland), though plenty of people were ignoring that. Beat the crowds: Go on a weekday or very early in the day. Bring sunscreen (if it’s a sunny day): There is very little shade except the food tents to escape to. Bring a camera! 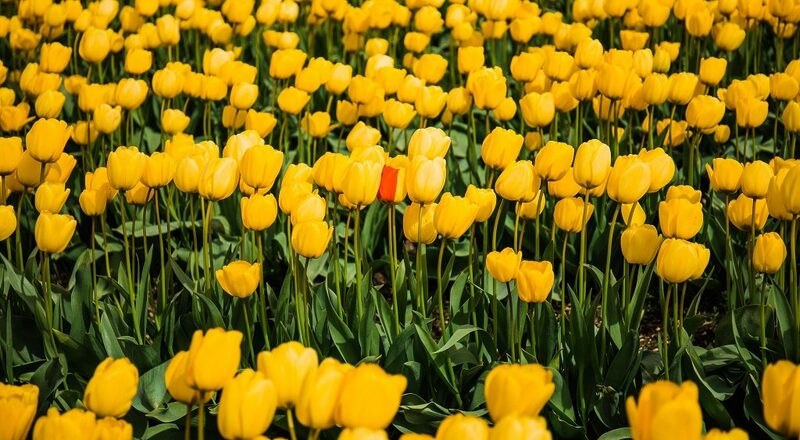 The tulips are beautiful and you will want to take lots of photos. Have patience. We went during one of the only sunny April weekends we’ve had this year, so the crowds were thick. Bring cash! It will get you in faster and you may want to buy some snacks or need to pay for parking. Wear shoes you’re not worried about getting dirty or wet (if it’s been raining). The event is at farms, which don’t necessarily have paved walkways. The fields were very muddy in some parts. I’ve never seen such beautiful tulips as your photos. I feel like i fell in love with the tulips. I would love to go there.